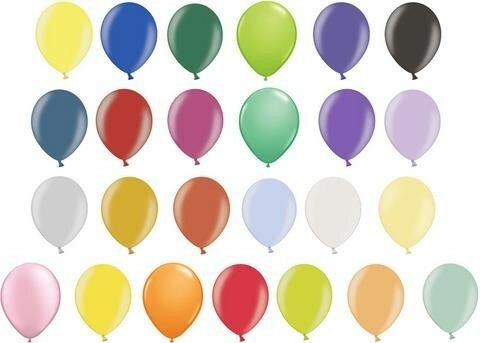 Belbal 12 inch metallic finish assorted colour latex balloons. High quality Belbal latex balloons are helium quality. Perfect for decorating all occasions, including weddings, birthdays or children's parties. Comes in a huge range of colours. Each bag contains 100 latex balloons.